The Board of Trustees/Student Shadowing Program has been developed to foster a mutual appreciation and understanding of the work of a member of the Board of Trustees and that of a modern day College of Charleston student. Beyond occasional opportunities during the year when Board Members are on campus, there are few opportunities for Board Members and students to interact with each other. The student’s challenges and rewards can be far removed from those of a Board Member. While Board Members may catch glimpses of student life while attending Board Meetings and other occasional campus visits, they generally do not get a lot of exposure to the students’ daily lives unless they have children or grandchildren attending the College. Even then, the complexities of being a modern day student are not immediately apparent. Simply put, the main goal of the Student Shadowing Program is to allow Board Members and College of Charleston Students an opportunity to get to know each other better. This will be accomplished through the one-on-one experience of a Trustee member shadowing a student for a day. This program will be offered during the fall and spring semesters of every year. How did you decide on the College? What is your favorite part about being a student at the College? Are you involved in any organization or activities on campus? What does a typical day look like? How many classes are you enrolled in? What is your major and how did you decide on that major? What career are you interested in after graduation? Do you feel the College has adequately prepared you thus far to pursue that career? Have you ever used any Academic, Career or Alumni services offered at the College? 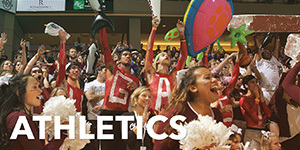 What is your favorite activity/event that you have attended at the College? What types of things do you do for fun in Charleston? Is there anything that you wish the College provided for students that it doesn't already? 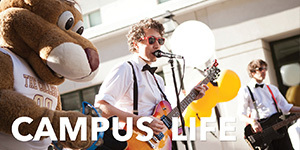 Do you live on campus or off? What challanges have you faced as a student at the College? How do you manage your time between all of your responsibilities? Where is your favorite place to study on and off campus? Where do you see the College in 10 years? What advice would you give an incoming freshman at the College? How/when did you know you wanted to become a Board Member? Did you attend the College of Charelston? And if so, has the College changed a lot since you were a student? What interested you in serving on the College of Charleston Board? How long have you been serving on the Board? Are there term limits to serving on the Board? What are your yearly Board Member commitments? How do you prepare for Board Meetings? What are your Board of Trustess member commitments outside of attending Board and Committee Meetings? How do you balance your professional life and your work as a member of the Board of Trustees? How has your role as a Board member changed recently and over time? What do you enjoy most and least about being on the Board? What are some of the challenges you’ve witnessed at the College and in serving on the Board? When was the last time you were in a classroom as a student? Or as a teacher or speaker? What are three things you would like to see the College change or improve in the future? What were the top three benefits of the Board of Trustees/Student Shadowing Program? Was the length of time (one day) for shadowing appropriate? What are the top two things you were surprised to learn about the Board Member/Student’s work? What are three ways you would amend the program for the future? This information is confidential and will only be shared with the Program Directors. Thank you for your participation. The Board of Trustees Faculty Shadowing Program has been developed to foster a mutual appreciation and understanding of the work of a member of the Board of Trustees as well as a member of the Faculty. Beyond the quarterly Academic Affairs Committee meetings, there are few opportunities for Board Members and Faculty to interact with each other. The Faculty’s challenges and rewards of teaching, research, and student service, as well as the Board Member’s time, and energy required in service are not immediately apparent through the limited interaction at quarterly Committee Meetings. Simply put, the main goal of the Faculty Shadowing Program is to allow Board and Faculty Members to get to know each other better. This will be accomplished through the one-on-one experience of a Trustee shadowing a Faculty Member for a day. This program will be offered during the fall and spring semesters of every year. Why did you choose academia as a career? How did you choose to teach at the College and how long have you been teaching here? Is there anything unique about teaching at the College? What are some of the changes you’ve witnessed at the College and how has your role changed over the years? What are some of the challenges you’ve witnessed at the College? What are your biggest challenges as a Faculty Member? Do you serve on any boards/committees or have any leadership roles professionally or in the community? What is your typical workload? What is involved in achieving tenure? What is the research and publication process? What do you enjoy most and least about being a Faculty Member? Why were you interested in serving on the Board? What is the minimum number of Board Meetings you must attend? What were the top three benefits of the Board of Trustees/Faculty Shadowing Program? What are the top two things you were surprised to learn about the Board Member/Faculty’s work? The Board of Trustees/Deans Shadowing Program has been developed to foster a mutual appreciation and understanding of the work of a Board of Trustees Member and that of a College of Charleston Academic Dean. Beyond occasional opportunities during the year when Board Members are on campus, there are few opportunities for Board Members and Deans to interact with each other. 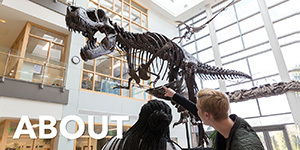 The Dean’s unique challenges as both a member of the faculty and administration, as well as the Board Member’s time and energy required in service, are not immediately apparent through the limited interaction at quarterly Committee Meetings. Simply put, the main goal of the Deans Shadowing Program is to allow Board Members and Deans to get to know each other better. This will be accomplished through the one-on-one experience of a Trustee Member shadowing a Dean for a day. This program will be offered during the fall and spring semesters every year. What led you to work for the College? How long have you worked for the College? Have you ever worked anywhere else and if so how is it different from the College? What is unique about working at the College? What is the process for becoming a Dean? What is your favorite part about being a Dean at the College? How has your perspective changed since taking on an administrative role? How is your role as a Dean different from when you were a professor? What classes have you taught in the past? 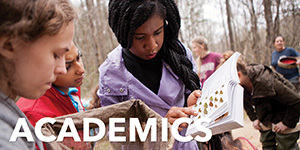 As a Dean do you currently teach any classes? Are you involved in any organizations or activities on campus? Do you serve on any boards/committees or have any other leadership roles professionally or in the community? Do you eat at campus dining facilities? If so, is the food good? What are your biggest challenges as a dean? What would you like to see improved or changed? Did you attend the College of Charleston? If so, how has the College changed since you were a student? What are your Board of Trustees member commitments outside of attending Board and Committee Meetings? How do you balance your personal/professional life and your work as a member of the Board of Trustees? How has your role as a Board Member changed, if at all, over time? What were the top three benefits of the Board of Trustees/Dean Shadowing Program? What are the top two things you were surprised to learn about the Board Member/Dean’s work? The Board of Trustees/Staff Shadowing Program has been developed to foster a mutual appreciation and understanding of the work of a Board of Trustees Member and that of a College of Charleston Staff Member. Beyond occasional opportunities during the year when Board Members are on campus, there are few opportunities for Board Members and Staff Members to interact with each other. The Staff Member’s challenges and rewards can be far removed from those of a Board Member. While Board Members may catch glimpses of Staff life while attending Board Meetings and other occasional campus visits, they generally do not get a lot of exposure to the Staff Member’s daily lives and roles at the College. The main goal of the Staff Shadowing Program is to afford Board Members and College of Charleston Staff Members an opportunity to get to know each other better. This will be accomplished through the one-on-one experience of a Trustee Member shadowing a Staff Member for a day. This program will be offered during the fall and spring semesters every year. Is there anything unique about working at the College? What is your least favorite part about working at the College? What are some of the changes you’ve witnessed at the College? What is your typical workload? What does your typical day look like? What were the top three benefits of the Board of Trustees/Staff Shadowing Program? What are the top two things you were surprised to learn about the Board Member/Staff Member’s work? A personal one-on-one relationship between a mentor, the trusted guide or counselor, and a mentee. A mentor is an individual, usually older, always more experienced, who helps and guides another individual’s development. This guidance is not done for personal gain. The purpose of the Board of Trustee Mentoring Program is in keeping with the College of Charleston Strategic Plan, maintaining two of the College’s core values of (1) further extending educational excellence and (2) encouraging a student focused community. The program is intended to focus on matching selected students from the College of Charleston with Board of Trustee members for a year-long mentoring program. Thank you for your interest in the College of Charleston Board of Trustees Mentoring Program. To realize the full potential of the program it is important that we try to find a good match for you. Please fill out any information you feel comfortable sharing below and feel free to use more than the allotted space if necessary. Upon completion of this questionnaire, please send the document to The Office of the President. Your interests – academic, career, social, organizations, athletics, causes, etc. Why are you interested in participating in the College of Charleston Board of Trustees Mentoring program and what would you like to get out of it? Are you interested in mentoring a student with similar personal interests, professional interests, regional similarities, similarities in family background, similar interests in social/philanthropic issues, or any combination thereof? Do you feel comfortable in fulfilling the requirements of this mentoring program (3 scheduled events and 2 unscheduled events) and would you feel comfortable with ex parte communication? Could you list any concerns you might have with the Board of Trustees Mentoring Program (regardless of whether you choose to participate)? 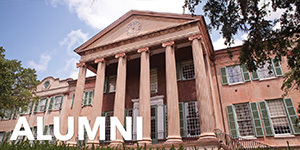 Was the College of Charleston Board of Trustees Mentoring Program beneficial to you? If yes, please explain how. If no, please explain. Did you feel like the program was beneficial to your student mentee(s)? If yes, please explain how. If no, please explain. Was the College of Charleston Board of Trustees Mentoring Program appropriate to your scheduling needs? Or was it too demanding of your time? Would you suggest fewer or more required activities with your mentee(s)? Did you meet with your mentee(s) outside the requirements for the program? If so, how many times did you meet and what activities did you participate in together? Did you feel you got more from required contact/activities or extemporaneous contact/activities? Did you feel compatible with your mentee(s)? Do you feel there was anything the directors could have done to facilitate a better match? Are you satisfied with your mentoring relationship? Do you feel there was anything the directors could have done to facilitate a better experience? Were the directors and other College staff helpful and supportive of your efforts in mentoring? Did they facilitate contact if needed? How do you feel the College of Charleston Board of Trustees Mentoring program could better prepare/support mentors in the future? Do you have suggestions to improve the program? Would you recommend the College of Charleston Board of Trustees Mentoring Program to other Board members? Would you like to continue as a mentor? And if so, would you feel inclined to mentor fewer, more or the same number of mentees? Would you agree to mentor your past mentee(s) should they express an interest in such? Do you expect to keep in contact with your past mentee(s)? This information is confidential and will only be shared with the Mentoring Committee. Thank you for your participation. The purpose of the Board of Trustee Mentoring Program is, in keeping with the College of Charleston Strategic Plan, maintaining two of the College’s core values of (1) further extending educational excellence and (2) encouraging a student-focused community. 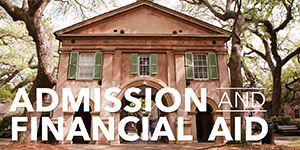 The Board Mentoring Program will focus on matching selected students from the College of Charleston with Board of Trustee members for a year-long mentoring program. Mentee will make a good faith effort to participate in at least 4 of the scheduled and unscheduled Mentor/Mentee events/commitments. Mentee will give mentor as much notice as possible if Mentee is unable to attend an event or commitment. If Mentee cannot reach Mentor, Mentee will contact their program director immediately to ensure that Mentor is notified. Mentees will submit a resignation letter to their individual program director should they no longer wish to or are unable to participate in the Board of Trustees Mentoring Program. Thank you for your interest in the College of Charleston Board of Trustees Mentoring Program. To realize the full potential of the program it is important that we try to find a good match for you. Board of Trustees members have a wide range of personal, educational and career backgrounds, and interests. This questionnaire will help us identify mentors that potentially will be the best match for you. Please fill out the information below by typing directly into the Word document. Upon completion of this questionnaire, please send the document to The Office of the President. Why are you interested in participating in the College of Charleston Board of Trustees Mentoring program and what do you hope to accomplish? Do you feel comfortable fulfilling the requirements of this mentoring program (3 scheduled events and 2 unscheduled events)? Was the College of Charleston Board of Trustees Mentoring Program appropriate to your scheduling needs? Or was it too demanding of your time? Would you suggest fewer or more required activities with your mentor? Did you meet with your mentor outside the requirements for the program? If so, how many times did you meet and what activities did you participate in together? Did you feel compatible with your mentor? Do you feel there was anything the directors could have done to facilitate a better match? Are you satisfied with your mentoring program experience? Do you feel there was anything the directors could have done to facilitate a better experience? Were the directors and other College staff helpful and supportive of your efforts in the mentoring program? Did they facilitate contact if needed? How do you feel the College of Charleston Board of Trustees Mentoring program could better prepare/support mentees in the future? Would you recommend the College of Charleston Board of Trustees Mentoring Program to other group members? I,__________________________, agree to abide by the guidelines set forth in the College of Charleston Board of Trustees Mentoring Program, Mentee Overview. My signature below indicates that I have reviewed these guidelines with my program’s director and agree to adhere to the guidelines with the purpose of achieving the targeted outcomes therein contained. Mentors and Mentees are encouraged to make contact over the holiday break. This is a good opportunity for a hometown visit. Legislative Reception in Columbia, S.C.